I think this may well be my third haul in a month. We all deserve a treat every now and again. Right? Well, it's what I keep telling myself. This shall be my last for a while because I'm going away very soon and then the Christmas shopping shall resume on my return. Christmas, eck! Lets just take a minute to admire these beautiful wedges. I've wanted some wedges for a while now, for my holidays, and were thinking of going more towards a pair of comfy, midi flatforms and couldn't find any that I liked anywhere. Going into New Look in the past month or so I've seen some gorgeous pairs in the Summer sale, but none really tickled my fancy and then I saw these! 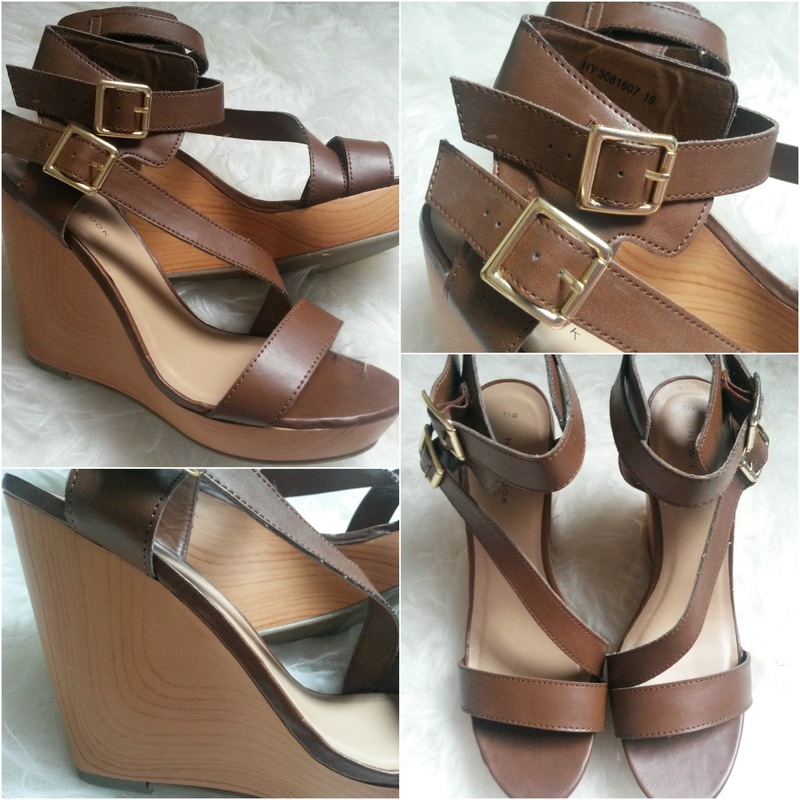 They were the last pair, my size and I've wanted some tan sandles for so long, it was fate, I tell you that. 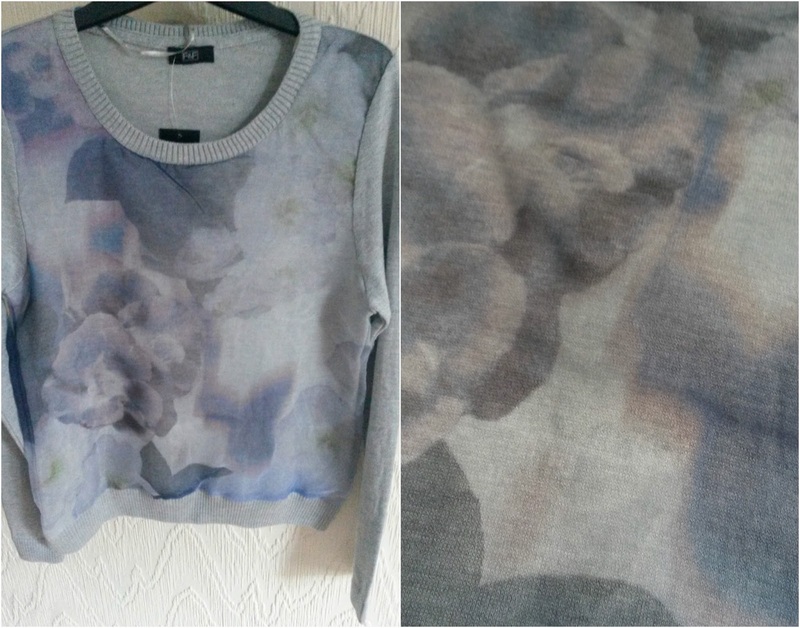 Especially when I checked the price and they were £7.00 down from either £24.99 or £27.99. Such a bargain. Unfortunately they aren't available to purchase online and if you're supper lucky you may just get them in store, if not you can find some similar ones on New Look online. I've wanted a dressing table mirror for quite sometime and I finally got my hands on this lovely white, oval one from Argos for £13.49 it's usually £17.99. It's made from solid pine and feels like really good quality for the price. 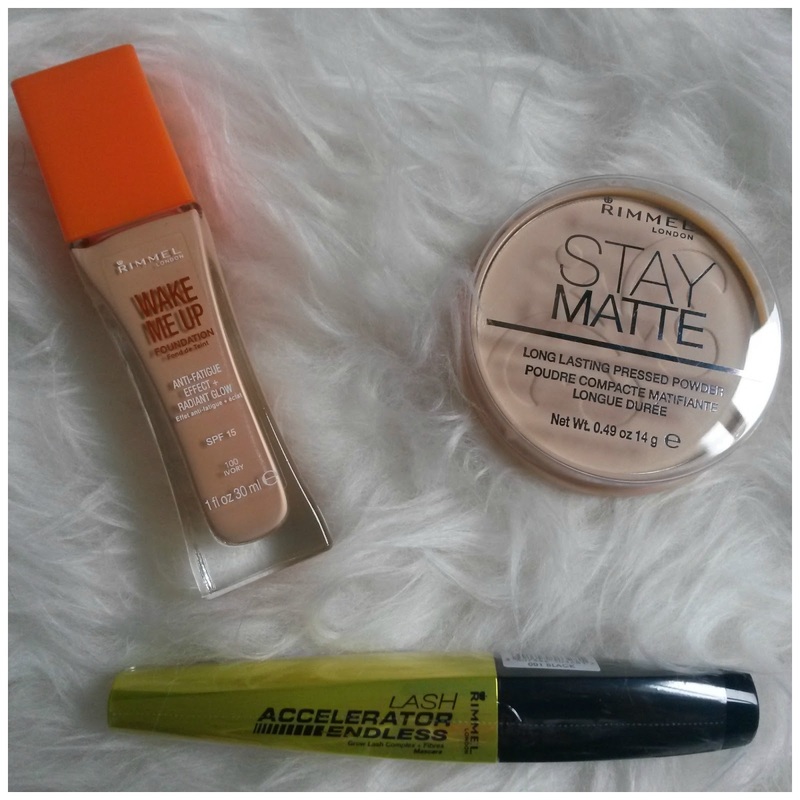 A trip to Superdrug later for some essential makeup products. I've mentioned the Matte powder in translucent on my blog so many times. I picked up Wake Me Up foundation in Ivory 100. If you spend over £10.00 right now you can get the Rimmel lash accelerator endless, which, just happens to be one of my favourite mascaras. I then went along to Tesco and spent a small fortune. Tesco always have the greatest clearance racks when it comes to PJ's. 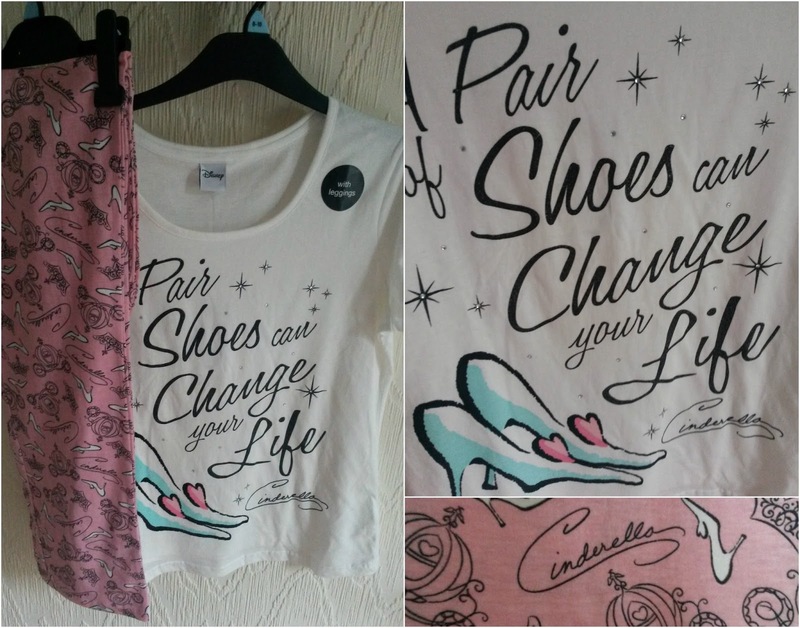 I just love these Cinderella pajamas's that cost me just £7.00. I love nothing more then lounging around in comfy clothes and feeling all relaxed. Whilst enjoying my lunch at the Costa in Tesco I decided to head on to Superdrug and purchase a few more goodies. I would of bought these at the Superdrug store in town if they stocked the Zoella Beauty fizz bar, but they don't and it's free delivery when you spend over £10.00. I decided to pick up some of the New Barry M nail paints and the matte top coat, which I've been wanting for ages. I got Persian and Atlantis from the Aquarium collection. I was also suppose to get the new showgirl mascara free with orders over £7.00 on Barry M but it wasn't in my order. 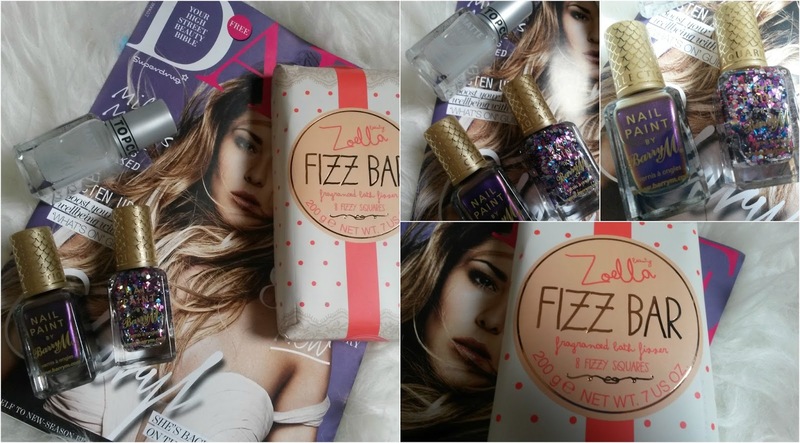 The Zoella Beauty fizz bar is Zoe's favourite product from her collection. It's not the reason I bought it, I love bath bombs and thought this was of really good value. Nothing else really stood out to be apart from the beauty cases and I definitely don't need another makeup bag. 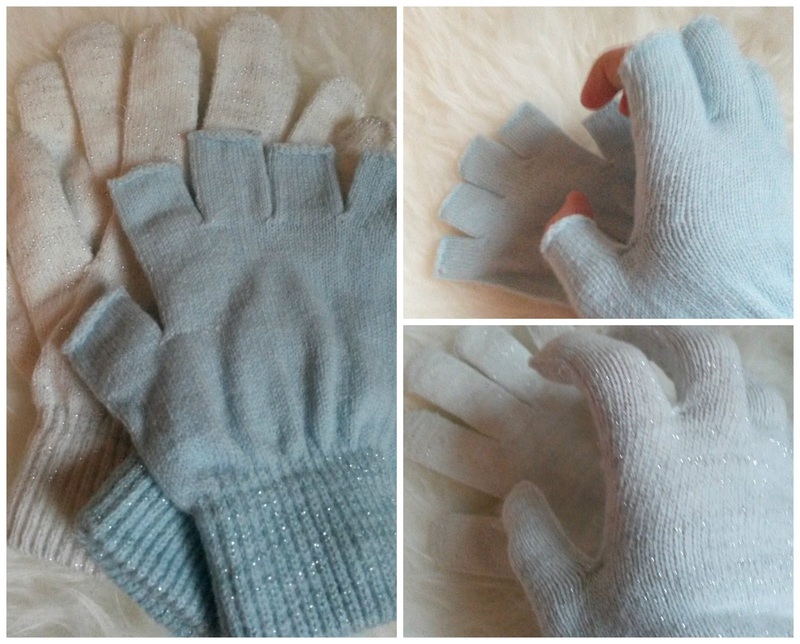 My last purchase are these gloves. My other gloves I've had for so long they've started to get some tear and wear, I were going to get a set but I have a few scarfs that are perfectly fine to use. These are from George and were only £2.50 that's only £1.25 a pair. I love a bargain! Expect a few reviews. Prices are subject to change in the time this post was wrote to being published. All items may not be available. Such lovely shoes, I really like the design the wood makes on the side of them. Makes them look almost a little abstract! And I'm jealous you are able to get your hands on Zoe's products. I live in America and don't know of any way to obtain them :( I would love to read a review on it though! Lovely post!